The Talia necklace is your quintessential show-stopper. 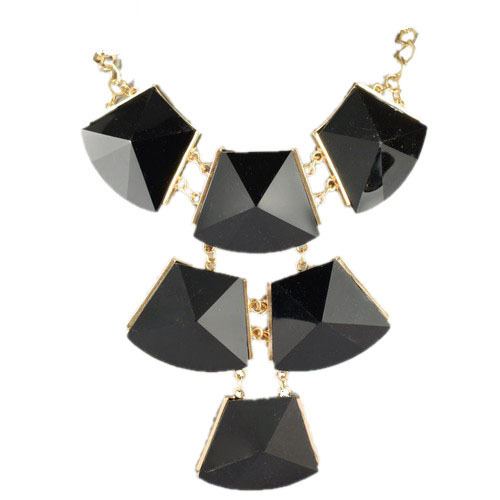 Six large and angular noir beads border-set in cast gold fall from your neck in a devastating array. Designed for your most special occasion.